The dozen tracks of jazzy beats and energetic instrumentals on the LP include “E una nostalgia,” “Splendido incanto,” “Ultima tappa,” “Dottor Beat,” “Fare e disfare,” and “Ocho rios” on side A and “Istmo,” “La ragazza che preferisco,” “Grande geysir,” “Curragh,” “Princess Street,” and “Flutuando” on the back. Such were the working conditions musicians and composers had to contend with in this time period. The Beat in Ampex LP, released by Montecarlo Records in limited numbers in 1972, has never been reissued and is almost impossible to find these days. One place collectors with deep pockets can check is Discogs. A copy was sold on eBay recently, as well. 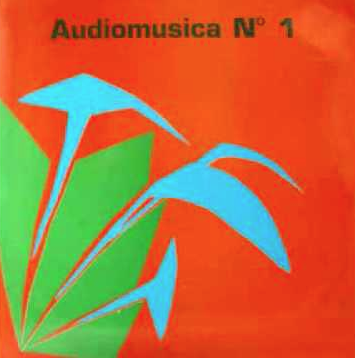 The same year Ugo Fusco and Stefano Torossi composed Beat in Ampex, Fusco also made a solo album for Lupus Records, Visioni Musicali, LUS 212 Among other releases of the legendary Italian label are Stefano Torossi’s Qualche tema lungo, Un tema: Tante variazioni, and Tensione e distensione, LUS 215, LUS 216, and LUS 217, respectively. 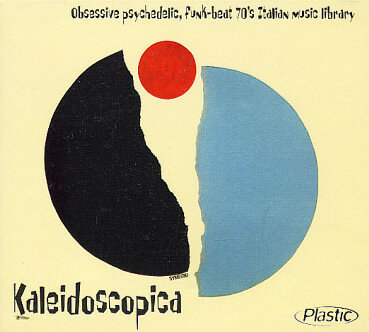 The eighth track of Ugo Fusco’s electronic jazz Visioni Musicali LP, “Notturno,” is one of three tracks from the album found on another superior Plastic Records’ compilation, Kaleidoscopica: Obsessive Psychedelic, Funk-Beat 70’s Italian Music Library. In 1971 and 1972, Stefano Torossi was releasing some of his most creative work under a pseudonym (“Fotriafa”) or not being credited at all, such as on the soundtrack for Si può fare molto con sette donne (You Can Do A Lot With Seven Women) (1972) (Reissue 2012). 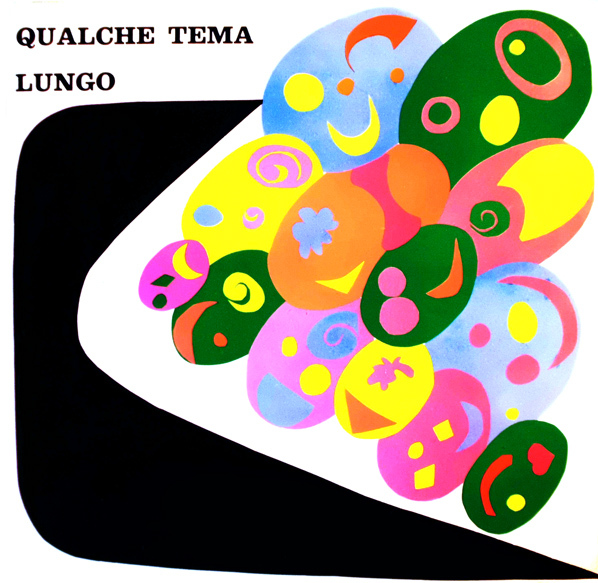 Seven of the albums from this period have only been issued in vinyl in Italy and never again in any format or other market: Beat in Ampex on Montecarlo Records, the three Lupus albums, Qualche tema lungo, Un tema: Tante variazioni, and Tensione e distensione, plus Non tutto ma di tutto (1971) on Flirt Records, Guerra di cielo, di mare, di terra (1971) on Octopus Records, and Ora Beat! (early 1970s) on Metropole Records. Hopefully, Beat Records Company, Arison, or some similar clever label will reissue these and more Torossi titles from this fertile musical period which are now impossible to access in digital or any other format. Thankfully, at least one track from the five albums mentioned above, “Per lei (I versione),” has appeared on a compilation in CD format. 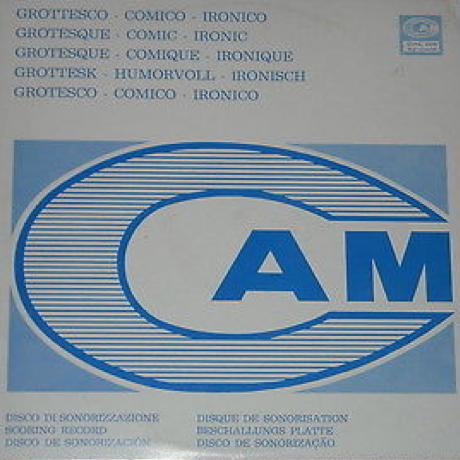 “Per lei (I versione),” which initially appeared on Qualche tema lungo, was also included on the 2001 compilation from Italy’s Schema Records, Metti una bossa a cena 2. The CD and LP are still available. A new video was posted online in the last couple of weeks. 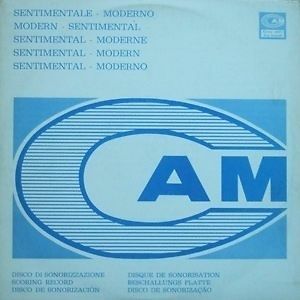 In 1972, Stefano Torossi also appeared on at least two compilation LPs issued by Italy’s renowned CAM Records: Grottesco – Comico – Ironico (CML 009) and Sentimentale – Moderno (CML 011). The pair of collector’s items appear on auction sites on occasion including Discogs.com. eBay, Popsike.com, etc. Each features tracks from an earlier CAM album from 1968 that featured two Stefano Torossi original soundtracks: È stato bello amarti (It Was Good To Love You) (1967) / Omicidio per vocazione (Deadly Inheritance) (1967) (PRE 2). A Beat in Ampex online EP features a selection of album cuts from Ugo Fusco and Stefano Torossi.